It is my great pleasure to announce that Dr. Mark Richards has accepted the position of provost and executive vice president for academic affairs, effective July 1. Professor Richards brings to our community extraordinary achievements as a scholar and educator and a demonstrated record of leadership at a top public university. He has a deep understanding and appreciation of the dual qualities of access and excellence and is a proven champion of the values at the heart of our academic mission, particularly those that advance diversity, equity and inclusion. I am thrilled he will join our community and look forward to working closely with him to advance our teaching, research and service mission across all of our campuses. A geophysicist, Mark comes to us from the University of California, Berkeley where he is a professor of Earth and planetary science and special assistant for diversity in the mathematical and physical sciences. He served previously as the executive dean of the College of Letters and Science and dean of the Division of Mathematical and Physical Sciences. 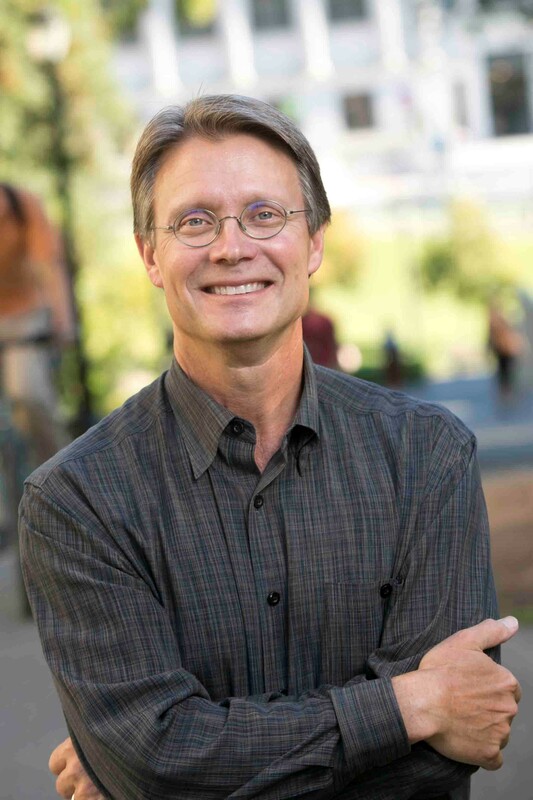 Pending a vote by the Board of Regents, he will hold a faculty appointment as a professor in the UW Department of Earth and Space Sciences in the College of the Environment. Professor Richards is an accomplished scholar whose research is focused on dynamic processes in the interior of the Earth and the terrestrial planets, and how these processes affect geological phenomena such as plate tectonics and volcanic eruptions. His work includes observational, experimental and computational methods. He is currently leading an international team exploring the enormous Deccan Traps volcanic eruptions in India 66 million years ago, which coincided with the great Chicxulub (Yucatán, Mexico) meteor impact and the mass extinction that killed the dinosaurs. He earned a bachelor’s degree in engineering from the University of Texas at Austin, and a master’s degree in applied physics and Ph.D. in geophysics from the California Institute of Technology, which he followed with post-doctoral work at the Australian National University. Although he has spent most of his academic career at Berkeley, he has also served on the faculty of the University of Oregon and, in 1993, was an associate professor of geophysics here at the UW. We are pleased to welcome him back! For the last several years, Mark has been teaching full time and is the principal investigator on several major federal and foundation grants supporting diversity in STEM disciplines. He created the California Alliance program — an NSF-supported collaboration among Berkeley, Stanford, Caltech and UCLA to promote diversity among Ph.D. students, postdocs and faculty in these fields. In addition to his strong record of being a convener and consensus builder, one of the traits that drew me and the search committee to his candidacy is that he is a teacher at heart, having established an innovative program at Berkeley, the Big Ideas Courses. He also worked to create Berkeley’s Teaching Excellence Colloquium, now required of all new faculty, and collaborated with Berkeley’s graduate and undergraduate student associations to establish the UC system’s first academic honor code. Finally, his commitment to shared governance and experience in managing budgets, including ensuring clarity around the budgeting process, will serve him well as the UW’s chief budget officer. Professor Richards is married to Dr. Sarah Noonberg, who holds both a medical degree and a Ph.D. in bioengineering and is currently the chief medical officer of Prothena Corporation plc, a biotechnology company developing protein immunotherapies. They have three children — twins Haley and Noah, who are college juniors, and Lily, who is a high school sophomore. Provost Gerald Baldasty, who has contributed to our University through his teaching, scholarship and service for the past four decades, will continue his leadership until July. I could not be more grateful for Jerry’s vision, dedication and friendship. Indeed, he was instrumental in bringing Professor Richards here to be his successor — one more contribution from Jerry for which I am grateful. He will leave an indelible mark on this institution. Between now and July, we’ll provide several opportunities for our community to welcome Mark and for him to orient himself through meetings with various stakeholders. In the meantime, I offer my sincere thanks to the search committee for their excellent work, especially to our committee chairs, Dean Sandra Archibald and Associate Professor Zoe Barsness. And I thank the many students, faculty and staff who attended candidates’ presentations and who engaged in this process. Your perspectives were key to making this decision, which is of such great importance to our University’s future.